After a number of responses to our last blog post on anxiety, here’s a little more to expand on the topic. The average person might experience some mild nervousness before an exam or whilst public speaking. It is normal to feel stressed or anxious when under pressure. However these feelings should pass once removed from the situation or “stressor”. Anxiety is more than this. Mostly, those feelings are ongoing and occur without any particular cause. When there is a stressful situation, the response tends to be disproportionate to the level of stress. Anxiety disorders are potentially serious illnesses that can fill the sufferer’s life with unrelenting stress and fear. Generalised Anxiety Disorder– Constant tension and worry about everyday life activities, lasting for many months. Sufferers usually anticipate the worst even though there is little reason to expect this. Is often accompanied by physical symptoms like trembling, muscle tension, nausea, fatigue and headaches. Post-Traumatic Stress Disorder – Persistent symptoms that occur after experiencing or witnessing a traumatic event – nightmares, flashbacks, numbing of emotions, depression, anger, irritability and being easily startled. Phobias – Extreme, disabling, and irrational fear of something that poses little or no actual danger. The fear leads to avoidance of objects or situations and can cause people to limit their lives unnecessarily. In Chinese medicine there is no separation between the physical and mental/emotional self. When one suffers, eventually so will the other. Because of this mental/physical closeness, an external emotional cause, such as a traumatic event or an abusive childhood, will eventually lead to a decline in physical health. Conversely, anxiety may be generated from internally as a result of a very physical imbalance. Often there is a complex interplay of both. Either way the physical pathology needs to be addressed. This is where acupuncture and Chinese herbal medicine excel. 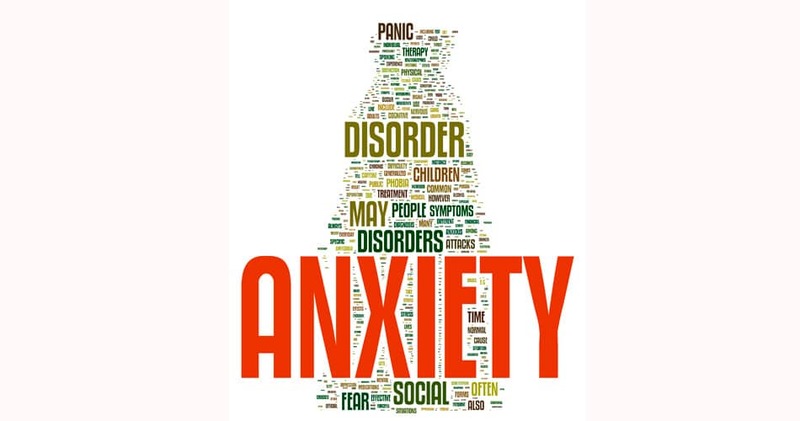 If the anxiety originated from an external cause, whether in the past or continuing into the present, it is recommended that you, additionally, seek out psychological therapy such as cognitive behavioral therapy. If your anxiety is not of an identifiable external cause, psychological therapy is still a very useful tool in helping you manage symptoms whilst the Chinese medical treatment is working to correct the physical imbalance. Aside from psycho-therapy, the other modern medical treatments are drug therapies. Antidepressants and benzodiazepines (often referred to as sedatives) are the most common ones. Benzodiazepines, due to their addictive nature, are usually kept for short term use in acute situations, or perhaps during more severe flare-ups. Some types of antidepressants can help people to manage their anxiety, and they are generally considered safer for long term use. There is a definite time and place for such drug therapies. They are fast acting, and bring some much appreciated relief to a lot of people. However, they are not for everyone. Some people don’t like the way they feel on medication, or are troubled by side effects. For others with lower levels of anxiety, they might struggle to justify constant medication. Furthermore, the treatments are usually only effective whilst on medication, or for a short duration after stopping. Chinese medicine isn’t always fast acting as some medical treatments, but the intention is to correct the physical imbalances that allow the anxiety to continue. Once the initial treatment course is completed (and in severe cases this could be quite some time), while you may need a future top-up here or there, you should expect long term benefit from the treatment. Because our focus is on the underlying pathology over the symptoms, it is recommended that you stay on your existing medications until you notice a sustained benefit from the acupuncture or Chinese herbs. Over time, if you are feeling strong and stable, under the guidance of your prescribing doctor, it may be possible to reduce or phase out your medication. Chinese medicine provides a good support at this time. In Chinese medicine, anxiety can be a result of a few different scenarios, but as an example, below is a description of probably the most common one. The Chinese medical terminology used below does need some background knowledge to fully understand, but the intention here is just to demonstrate how unique our system for understanding pathology and mental health is. Anxiety is a form of fear, which is the emotion of the Water element, according to Chinese medical 5 element theory. If there is too much fear, it means the Water element is in a state of excess (too much) and needs to reduced or contained. The element normally responsible for doing this is the Earth element. So on a very simple level, treatment, via selection of appropriate herbs and acupuncture points, would be about strengthening the Earth element to control the Water element, whilst simultaneously reducing the Water element. This explains why overthinking and worry, which are the emotions of the Earth element, are often a big part of, or precede, anxiety. If the Earth element, and its associated organ systems, is weakened by too much worry, its controlling relationship with the Water element will be impaired. When the pathology becomes more severe, the Fire element becomes involved. On the controlling cycle, Water is naturally responsible for controlling the Fire. When water is in a state of excess, it will over-control Fire making it weak. The emotion that pertains to the Fire element is joy. When Fire is weak, there will be a lack of joy, which we call sadness or melancholy. 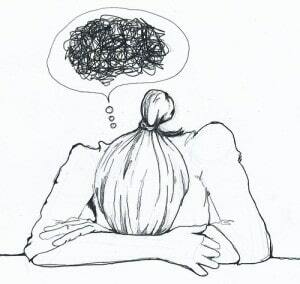 This is where depression comes into the anxiety picture. So now we’d strengthen the Fire element to making it stronger against Water (and to bring back joy), and strengthen Earth to better control Water. It is also interesting that Fire is the mother of Earth on the five element generation cycle. So if Fire is weak due to an over-controlling Water element, it will be unable to nourish or sufficiently generate Earth, making Earth less able to control Water. In this pathology, the 3 elements, Earth, Water and fire, have formed a vicious triangle. You can see that if you were to only chase the symptoms of anxiety, perhaps just by simply reducing the excess of the Water element, the effects would be short lived once treatment stopped, because the problem comes from higher up stream. The other scenarios of anxiety are a bit more complex and beyond the scope of this article. Exercise is essential, but this doesn’t have to mean thrashing it out at the gym. It can be as simple as a walk, or yoga, or golf, or swim in the ocean, or playing with the dog in the park. Keep it fun, and unhurried, and try to do something every day. Exercise is great, physically, for so many reasons – brain chemistry is affected, circulation is improved, blood is oxygenated, metabolic waste is flushed, etc. But importantly, exercise is a great mental distraction which helps to break or interrupt a period of negativity. For your mental health, exercise is a bit like a meditation. It forces just enough focus on the task at hand so as to crowd out unwanted mental noise. Your Chinese medicine practitioner will be able to comment on the level and type of exercise that would suit your type of anxiety. While just about all types will benefit from the lower levels of intensity mentioned above, the higher levels, such as intense cardio work outs, are not for everyone. The very deficient types, with symptoms like poor temperature regulation (feelings of hot and cold), erratic heart rate, and night sweats, can be made worse if they rev up the heart too much. Nothing particular to eat more of or to avoid here, just a very sensible healthy diet – lots of vegetables, a couple of serves of fruit per day, ideally a serve of lean meat or fish each day, and as varied and in-season and as unprocessed as possible. While it is often the last thing you feel like, having a close support network is important, and something that needs nurturing. Even just being out and around other people can reduce feelings of isolation. Recreational drugs are a big no no for anxiety. Alcohol is not great either. You can possibly afford a drink here or there on a special occasion, but this would depend on your level of severity. These substances, which make you feel great at the time, draw upon your already limited resources, and leave you in a much lower position afterwards. For an alternative approach to treating anxiety, give us a call book your appointment today.